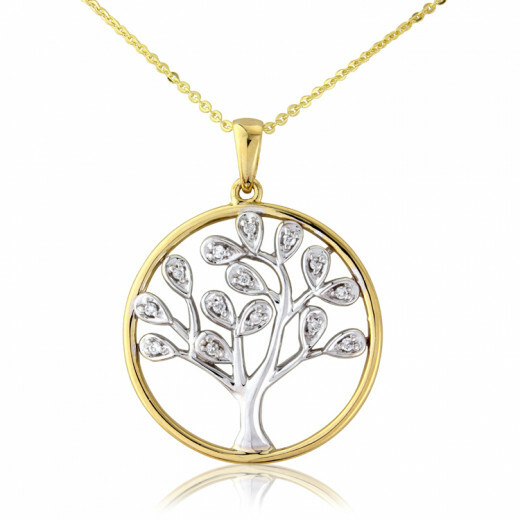 An iconic "Tree of Life" Pendant Necklace with extendable fine trace chain. Details include branches beautifully crafted in 9ct White Gold with Diamond accented leaves and encircled by a yellow gold surround. A timeless design with plenty of symbolism.